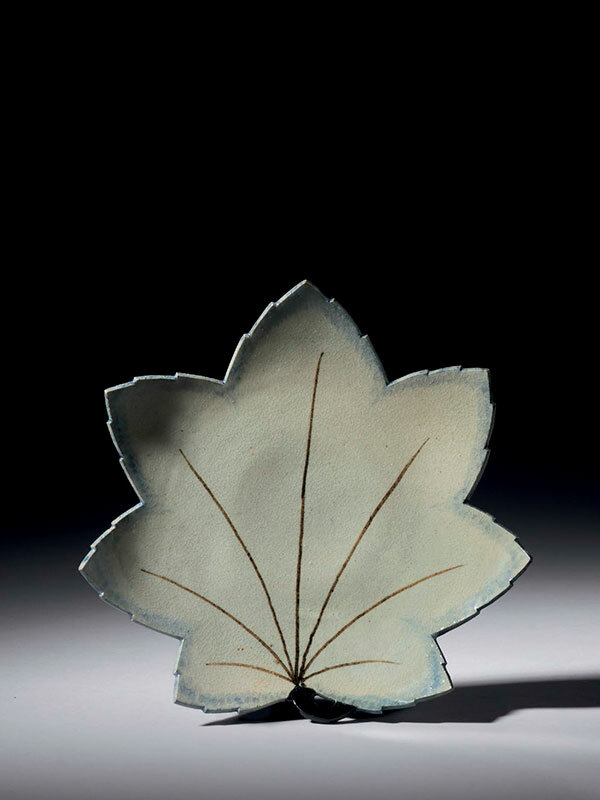 A porcelain leaf-shaped dish for the tea ceremony. The dish is detailed with a pale blue wash around the edges and brown lines indicating the veins. The base is unglazed and impressed with the mark of Ninsei.